I read The Plague in 2016. I enjoyed it enough (although, enjoy is probably not the right word for a book about a plague) that it made the list. 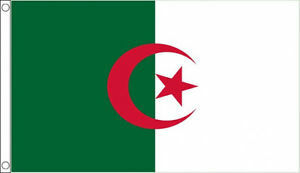 The book takes place in Algeria, North Africa, and a town called Oran. The bubonic plague has hit the town, but the people in the town ignore the signs. Over 300 people are dying a day. A Dr. Rieux convinces the town officials that there is definitely a problem and they gate off the town. No one can get in or out. Dr. Rieux had just sent his wife to a sanitorium before the plague broke out. His mother, who came to live with him and care for him while his wife was away, is not trapped in the town with him. Dr. Rieux and his colleagues work tirelessly to help people, but in truth they watch 100s of people die every day. In the end, not all the main characters of this book survive the plague, but the plague does end, and the gates to the town open. This was a good book. It took me awhile to read it because it is intense. It is not a book you can read while the TV is on in the background. It isn't a difficult book, just deserves your full attention. 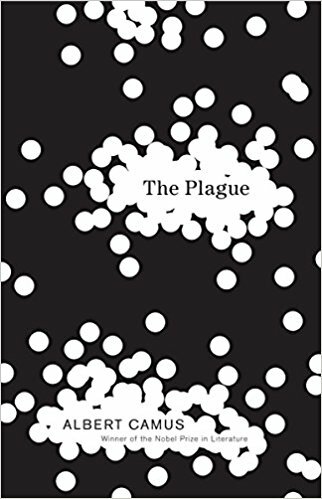 The main characters are well liked, and each struggles to find the meaning of the plague. The book makes you think about what you would do if it ever came to your own town. Would you try to escape? Would you try to help? Hide? These days, we live in a world of immediate over reaction (and immediate gratification), that it does make you wonder what most people would do if this happened today. I would put this one on your reading list. It is written by an author who one the Nobel Peace Prize, so don't miss it. It is going on the permanent shelf.